"Set against the glamorous skylines of 1950s Manhattan, world-leading cosmetics entrepreneur Helena Rubinstein is locked in a power struggle with rivals Elizabeth Arden and Revlon. 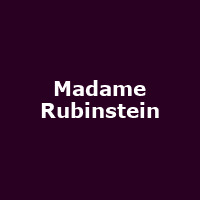 Madame Rubinstein is a bright new comedy where the nails are painted and the gloves are off. Yet when the lipstick bleeds and the makeup fades, what is there left to hide behind?"